The New Swadeshi is not going to derail India's reforms journey and there should be more in the government's budget next month that spells it out for us. Ten years is a long time no matter how you look at it. It is not only about one-seventh of how long the average Indian lives, it is also enough time to change the course of a generation. That is why Manmohan Singh's two-term run as Prime Minister is looked down upon scathingly by today's commentators for the floundering state he left the economy in when he demitted office. He could have continued sustainably the "ache din" (good days) of his early years as Prime Minister into his second term, but failed to do so on basic leadership principles. Some, including Singh, believe history will judge him less harshly. I don't think so. In 20 to 30 years into the future, to be sure, most Indians would have lost memory of his years but there will be at least one small part of a generation that will miss the wind beneath its wings for its entire lifetime. Narendra Modi knows this and tapped wonderfully into this angst of young voters and their parents, and got to the Prime Minister's Office. If he now has to deliver, it is clear he will have to work in today's context of growth primed by investments, waning consumer spending, and get savings back on track. That's easier said than done. So, rather than getting cornered following what right-wing ideologues would call swadeshi principles, Modi is moving to the centre. To be sure, it is not as if this was not expected. But what Modi is slowly fashioning - and he has the support of some in Rashtriya Swayamsevak Sangh - is what I'd call neo-swadeshinomics. The tenet of self-reliance is getting nuanced into "what's good for India", the phobia over many things foreign is being replaced "let me engage with them if I can get value in return", and decisions around splitting up a monopoly or rescinding a law are being measured by long-term impact. Some of these decisions are also being counterweighed by how many people will be hurt on ground and, gratingly, what kind of people. Take the instance of organised retail. A big chunk of the support base of Modi's Bharatiya Janata Party is made up of traders. These range from petty merchants to distributors to transport fleet owners to financiers of the trade, and many others in the ecosystem. They are opposed to organised retail for the lower prices and better value Big Box retailers can offer and, in turn, the threat of weaning away custom from smaller outfits. The efficiencies of organised retail are good for consumers and the economy, especially if calibrated by mandatory sourcing from small vendors and contributions to setting up a robust supply chain where wastage is reduced. Opponents to this talk about the impact it would have on the livelihood of 40 million people. The BJP, which opposes foreign direct investment in multi-brand retail, gravitates towards this view. The new government has sought suggestions to amend the Factories Act from multiple stakeholders but is steering clear of a debate on the merits of organised retail. Still, what Associate Editor Shweta Punj calls the New Swadeshi is not going to derail India's reforms journey and there should be more in the government's budget next month that spells it out for us. In other stories this issue, Senior Associate Editor Mahesh Nayak writes about why the steam may not have run out of the equity markets yet; stay invested in quality businesses, he advises, to ride the wave this year. Associate Editor Ajita Shashidhar details how digital advertising is taking the FMCG industry by storm. 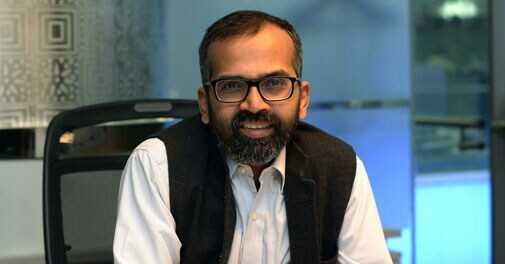 Even as corporate India chieftains harp about getting factories humming in India, Senior Associate Editor Goutam Das shines the light on the trend of production lines, loaded with automation and flexibility, sprouting up. Finally, here's a serious question: will Indian pharma survive? Turn to Associate Editor E. Kumar Sharma's answer.